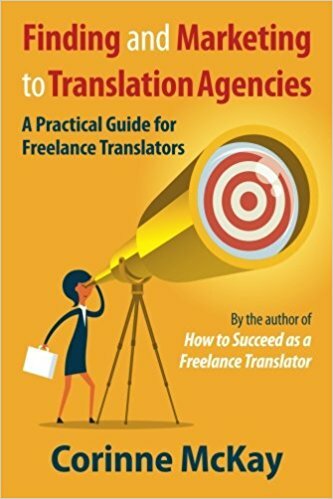 These strategies are intended mostly for new translators who need a way around the chicken and egg dilemma of, “Clients don’t want to hire me without experience, but how do I get experience if clients won’t hire me?” It’s free, and is not a sales pitch. Hope to see some of you there! Thanks, Mayte: it’s at 4 PM UK time (time should be on the web page I linked to), which is 5 hours ahead of US Eastern time. I’m in Colorado (Mountain time) and it’s at 9 AM my time. I’m having trouble registering for the webinar. I wrote to SDL but no one answered me yet. Can you help? Hello Guylaine and I’m sorry to hear that! Unfortunately I can’t process registrations directly, but you could contact Ed Flower (eflower@sdl.com) to see if he can help. Thanks to you and Ed, everything’s fine now. Great team work! Can’t wait to hear the webinar. Thank you! Thanks, hope you enjoyed it!